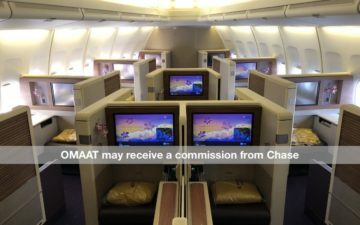 As I first posted about a few days ago, there are rumors of Chase introducing a new premium credit card intended to compete with The Platinum Card® from American Express and the Citi Prestige Card. While Amex, Chase, and Citi, typically compete head-to-head, oddly Chase is the only issuer that doesn’t have a ~$450 per year premium card. While Chase hasn’t officially announced anything yet, rumor has it that this new card will be launched on August 21, 2016, and could offer a sign-up bonus of 100,000 Ultimate Rewards points upon completing minimum spend. There are also apparently some other perks we don’t yet know about. Last time the speculation was that the annual fee would be $300-400, which I pointed out seemed weird, since the American Express and Citi products both have $450 annual fees. So I’m not surprised to see the annual fee being what it is. The $300 annual airline credit is $50 more than the airline credit on the Citi Prestige Card, and $100 more than the airline credit on The Platinum Card® from American Express. So if you value that at close to face value, it means the real “out of pocket” on the card is $150 per year. A Priority Pass membership is a pretty standard benefit for premium cards, though the terms of the membership vary by card. 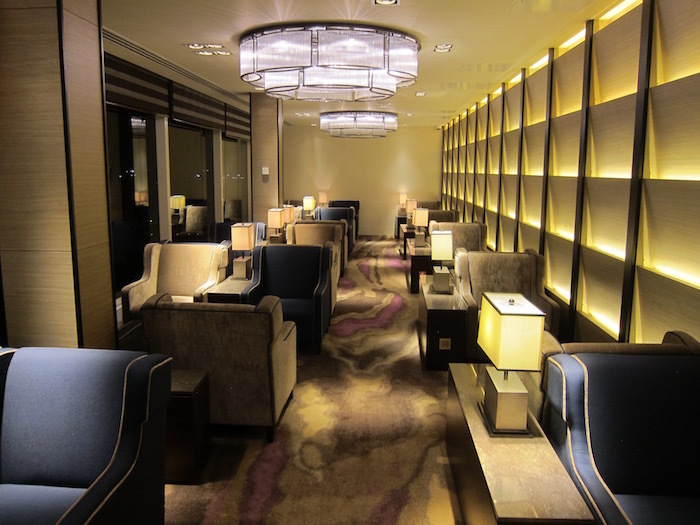 The Citi Prestige Card allows you to take two guests with you into lounges for free, while The Platinum Card® from American Express charges for additional guests. It’s also worth noting that Visa Infinite cards come with 12 free Gogo wifi passes per year as a standard benefit, which is a nice added perk on top of all of the above. As a starting point, this sounds like a pretty compelling card, especially given that it’s rumored to have a 100,000 point sign-up bonus. The way I do mental accounting on annual fees, the real “out of pocket” on this card is $150 per year, given the $450 annual fee and $300 airline credit. That means this card would “cost” me $55 more per year than the Chase Sapphire Preferred. That could easily be wroth it for the triple points on dining and travel alone. What do you make of the rumored benefits of the Chase Sapphire Reserve Card? What other benefits would you like to see? Let me emphasize once again that these are all just rumors at this point, so we’ll have to wait till the card’s rumored launch date to find out more. Not bad if the $300 credit is towards any air purchase like Citi’s. If it’s restrictive such as AMEX’s, it makes it less worthwhile. Nice to see Chase get in this space, but they’ll have to offer something “special” (special AMEX-style lounges, 4th night free, golf, etc.) to differentiate it from these otherwise standard benefits of cards in this space. Meh. Keep it for a year and ditch it. Not worth it for 450 a year. If I can get 300 airline credit a calendar year, and get 600 total for it, awesome. Plus the sign up bonus, assuming 100k, is worth it. But after that first year, it’s not worth it at all. Are they going to make this card subject to 5/24 as well? I’d jump on it for the signup offer, but after a year meh. Two words: Centurion Lounge. Even with all else being equal, how is Chase going to convince me to get this instead of the Amex Platinum? Needs a UC membership perk to make it a killer card but seeing as CP is losing the AC perk I am not going to hold my breath. Still eligible for card and bonus if already a CSP holder? Amex may need to review their benefits. The limitation on the use of the airline fee and a poor Priority Pass when compared to Citi Prestige may get customers to dump that card. Just a comment on the Priority Pass offered by the Citi Prestige card. It allows 2 guests BUT it also allows all immediate family members (spouse, domestic partner and/or children under 18 years of age). That is huge. I used it several times this year and can confirm that my family of 4 (me, wife and 2 kids) got in Priority Pass lounges without having to pay anything extra. The Priority Pass offered by Amex Platinum only allows you to bring 1 guest and family members enter in that quota. If we’re over 5/24 is it worth product-changing to this card for 3x dining? Sounds cool except I’ve gotten like 6 cards in the past 16 months, so if 5/24 applies, I’m sol. Would airline credits include gift cards? As a single person from Dallas, I often spend under $300. Wondering if they’d let us existing Chase Sapphire Preferred cardholders to upgrade to this version without a new application as a way around 5/24 rule?? Sign up bonus is good, but Chase’s stupid 5/24 means I (along with most people reading this site) cannot get this. Airline credit works for me if, like with the Prestige, that includes all spend combined for all airlines. If it only applies to incidentals like baggage fees and food/drinks purchased in flight, or you have to preselect one specific airline, then no. Amex needs to match the airline credit stuff. Having to pick an airline in advance and jumping through hoops is a hassle. As Nolan suggests, the 5/24 rule would force me to wait/pass, and I say that as someone with all three FICO scores well into the 800s. Also, does 3 x travel = airfare, hotel, rental car, taxi/Uber, parking? I’m just curious as to the limitations. Priority Pass doesn’t matter to me for the most part, and throwing in a United Club perk does nothing, as I try and avoid United as much as is humanly possible (I’m currently an American loyalist). The 100,000 bonus points + $300 airline credit are compelling. I’m not even sure what “Visa Infinite” even means. If the above perks are correct, and the airline credit is like Citi’s I would strongly consider this. If it also includes some other lounge benefit on top of PP, it’s a definite keeper. 5/24… no Reserve for me. A luxury card is supposed to provide exclusive benefits, and I don’t see this card opening any doors to things that were previously inaccessible. 5/24 will limit the number of cardholders. 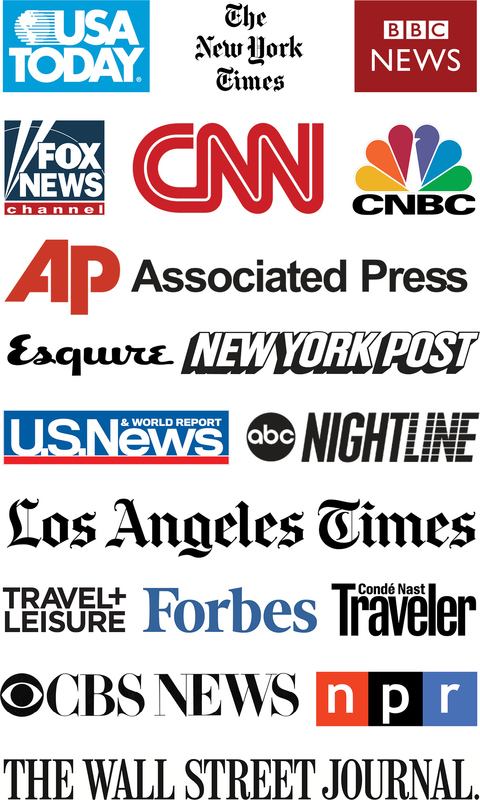 Smart travelers with high FICO’s and good incomes know how to play the game. I’m sticking with Amex. Platinum. maybe i’m slow today but what is 5/24. 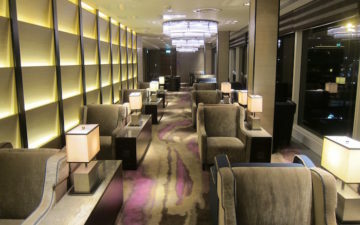 Also while this card sounds great and i’d probably get it for at least one year, the Delta lounges and Centurion lounges make the amex platnium the winner for me. This card looks great. I will drop my Sapphire Preferred for this immediately. For people comparing this to Amex, it’s true that Amex has better benefits, but it’s also important to keep in mind that this might not be a complete list of benefits. Also, 3x points on dining and travel is a huge leg up over Amex Platinum, especially given that a majority of my credit card spend hits those categories. @alex – Chase has a policy where you can only get 5 Chase issued credit cards within a 24 month period. So for many people, they have to wait a while to apply for a new Chase card if they’ve already maxed out the 5 cards. AmEx allows all Reward Points from different cards (same owner) to be pooled into 1 account. I wonder if Chase will do the same. @Luis…it is not 5 Chase Cards within 24 months, it is a total of 5 Credit Cards withiin 24 months. No matter the issuing bank. My guess is that the $300 airline credit on the Chase Sapphire Reserve will work exactly the same as the $300 airline credit on the Chase Ritz-Carlton card. Only works on incidentals (bag fees, upgrades, etc) and you have to contact Chase and ask them to manually apply a credit. Some people have reported success in getting gift cards and airfare credited while many others have reported that Chase requested they send them a copy of the receipt or the rep told them they could see that it was a gift card that was purchased. Again, this is just my speculation but it seems unlikely that they would create a different crediting system for this card. @Blue Mountain – Of course they will. They do so now. To those wondering, because I do not see it mentioned, Visa Infinite is basically the next step up from Visa Signature which most upper end Visa cards in the US, including the sapphire preferred, are. Infinite includes features akin to Luxury Hotels and Resorts, usually a $250 airline credit, concierge, and other luxury travel services that you would see offered through high end credit cards. There has been one Visa Infinite card in the US from something like Crystal bank which interestingly enough offers 3x points on Dining. Everyone keeps talking about extra features to make this card competitive, but from pure earning potential I think this card will stand out. The Citi Premier IMO is a better card than the CSP when they both have sign up bonuses, yet most websites still recommended the CSP just because of the lucrative UR points that it gives at 2x in two categories. In the same light, pure earnings will allow this card to shine even if it doesn’t have UA lounge access or a 4th night free benefit. This is especially true if it is 3x points on Travel and Dining and 2x on everything else which would make it probably the most lucrative travel card, even more than the SPG Amex or Everyday Preferred on everyday spend. Even with all that, Chase will obviously do a special feature of some kind. I can see an annual points bonus, annual hotel credit, or even rotating super bonus categories like Freedom has. In any case I have a really good feeling about this card and I can see myself getting one even though I don’t have any Chase cards at the moment. 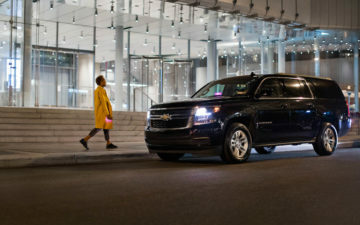 I will get one of these through my wife (unless 5/24 waived, in which case we’ll each get one) for the bonus alone, but will keep on renewal so long as the $300 travel credit doesn’t require calling in manually for each charge as with the Ritz-Carlton card. Those 3x categories are killer, with UR being king, and the car and travel insurance are clinchers. I’ll keep my Amex Platinum for the lounges, FHR, and concierge/event benefits (Hamilton tix were an awesome get), but Citi Prestige really messed up on their timing with this and that card is dead man walking. @William There is no way the card will offer SPG status. Amex partners with Hilton and SPG and thats why the Amex Plat can offer Gold status with Hilton and SPG. At most, this card will offer any or all of either Hyatt Platinum, Marriott Gold/Silver Elite or Ritz Carlton Gold status. Possibly also Fairmont elite status. Maybe after the Marriott/SPG merger there might be some kind of benefit with the new, combined program. I just hope its black and weighs a ton… what else really matters in a card? Chase is effin stupid if they think they’re going to get healthy number of new elite customers that are educated, high income, big spending, “target market” on this product unless they do away with 5/24. For all the uninitiated out there. 5/24 is the rule covering most key chase products that auto denies 9/10 applicants that have gotten access to 5 or more credit cards in the last 24mo. Who the H#$% in the aforementioned demographic could go 2 years without adding a handful of new credit card products to their arsenal? Seriously, it’s like Chase is asking to die a slow death. Amex, this is your chance to kill them in the premium product category. @John; Why so bitter? Dude, get a life. Interesting enough to consider asking them to upgrade my CSP to this even if they won’t give me the signup bonus because of 5/24. This could end up becoming my go to card for every day spending. 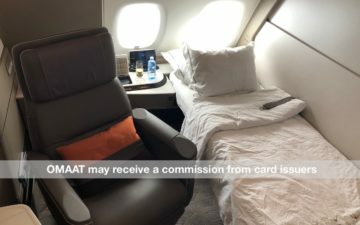 I expect the $300 airline credit to be extremely restrictive, the way it is for Chase’s Ritz-Carlton card, which is even more difficult to use than Amex’s (though at least it can be used on any airline). Reports on flyertalk suggest that it is sometimes possible to slip gift cards through, but it isn’t a sure thing, and certainly it isn’t like Citi where pretty much any airline purchase qualifies (that one I do count as basically cash). Still sounds like a great card. It’s gonna be weird to cancel my Sapphire Preferred. I seriously never thought that would happen. @David_W, @William Whereas SPG is not that likely, do keep in mind that Marriot has bought up SPG, and Marriot is who Chase has credit card agreements with and no one is totally sure what or how SPG will develop. What about tsa pre / global entry credits? 3x dining is good surprised no global entry. Also surprised united isn’t thrown in there as well with all their partnerships also maybe a silver level Marriott. Most consumers would never pay a $450 annual fee. We live in a bubble. Alaska airlines must be a transfer partner for me to apply for this one. 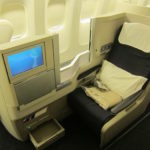 The one thing that I haven’t seen mentioned – unless I missed something – is that triple points for travel is a perk that the Chaee Sapphire we’ve all had so far does offer, if you book your flight through the Ultimate Rewards portal, which is easy and convenient to do. The option to earn an extra point per dollar through the Ultimate Rewards portal ended at the start of 2016. Well, if it gets spelled out that 5/24 doesn’t apply or if they’d let you cancel other Chase products to qualify for this one, maybe. Any word on if this new card will have Chip + PIN priority? Last year a high up Chase exec stated that Chase was working on Chip + PIN; then Chase quickly tried the clean that up by saying it was a mistake. A lot of people think it was a mistake…a mistake that it was leaked early. Visa Infinite and Chip + PIN priority would make this a fantastic international travel card.